따뜻한 마음을 가진 산타 테레사에 있는 리우스 나이스 호텔 숙박시설은 리우데자네이루 여행 중 둘러보기에 가장 알맞은 곳에 있습니다. 이곳에서 생생한 도시의 모든것을 쉽게 즐기실 수 있습니다. 카사 드 벤자민 콘스탄트, 파크 다스 루이나스, 라고 다스 네베스에 근접하고 친환경 호텔에서 특별한 편안함을 맛보실 수 있습니다. 리우데자네이루에 위치한 호텔의 장점은 비할데 없는 서비스와 오락 시설이 마련되어 있는 것입니다. 이 호텔은 고지식한 손님도 만족할 다수 시설을 제공합니다. 리우스 나이스 호텔 고유의 분위기가 모든 객실에 반영되어 있습니다. 또한, 에어컨, 미니 바, 전화기, TV, 객실 내 안전 금고 등이 대부분의 객실 내에 구비가 되어 있습니다. 호텔은 실외 수영장 등을 포함하여 다양한 종류의 여가 시설을 완벽하게 제공합니다. 리우스 나이스 호텔 숙박시설은 관광객의 완벽한 선택이며 리우데자네이루에서 번거로운 일상에서 벗어나 모든 순간이 편안한 휴식의 시간이 되도록 제공해드릴 것입니다. The room was not very good. The cupboard was untidy and had no locks, safe deposit box was extremely old, broken and could not lock. No headboard lights. The room was very dank & musty,curtains were very unattractive. The bathroom was cramped - you could hardly sit on the toilet seat.As everywhere in Brazil, it was extremely difficult to communicate in English as overwhelming number of locals spoke and understood only Portuguese - communication in English is a major problem in Brazil. 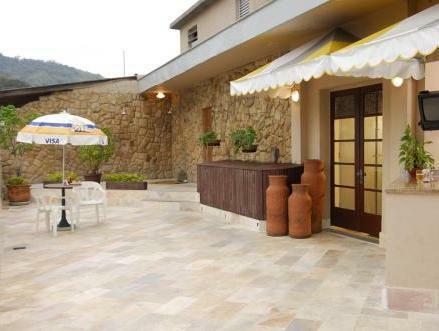 Nicely located,really close to everything,with many facilities just a few meters away. The toilet seat was very unconfortable. Satying in Nice Hotel in Rio was a great experience.Great staff,always very helpfull and friendly. I really enjoyed the breakfast,with a lot of diferent options! Very nice located,only a few minutes from one of my favourite place in Rio (Lapa),great neighbourhood! Very cozy little hotel! 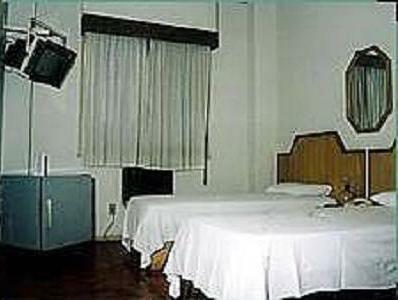 rio's nice hotel is a very high value for money hotel in the popular area of lapa. lapa is near central (not near beach), so you need to take a bus to the beach. however, it is close to most other sights. You get what you pay for and it is fairly good value. The breakfast is above average. The staff is helpful. No need to use AC in the "winter" but not sure whether AC works well in the summer. location is very convenient to central. Hotel staffs is friendly, but english is not so well. good price, nice staff, clean, but a litte bit old facilities. Good price, large room, nice breakfast. The location of the hotel is not the best but you just need to be mindful of the surroundings and be careful. A supermarket is located across the street. The room has a small refrigerator. The room is very basic, but it is clean and large. While I was there, the temperature was close to 100 degrees F. The air conditioning kept the room from being too hot but it was still quite warm. Good value for money in Rio. Staff is very helpful, and checks me in early at 10 a.m.
not as dangerous as i thought. cheap and good enough as a cheap budget hotel. if you can't speak a word of portuguese, it could be a bit of problem communicating with them. Being in a dangerous area (as commented in other sites), there were lots of restaurants cafes around the hotel until late at night. also there are couple supermarkets and pharmacies across the street. close to lapa where the most interesting night life's going on in rio as well. if you are on budget travel and want the real Rio rather than ipanema, it's good for the price. Nous avons passé 4 nuits dans cet hôtel et avons été très déçus. Bien que la maorité des clients de l'hôtel étaient des étrangers, les employés ne parlent pas un mot d'anglais. La chambre était très vieillote et mal entretenue. Il n'y avait pas le cable avec des chaines de TV anglophones comme dans la plupart des hôtels au Brésil. Ce qui nous a le plus dérangés est la façon dont le ménage était fait le matin: les draps étaient à peine rabattus sur le lit, la femme de chambre oubliait une fois sur deux de mettre des serviettes et un coup de balai n'était même pas passé sur le sol. D'autres clients se snt plaints. Internet n'est disponible que dans le lobby. L'hôtel est situé dans un quartier un petit peu dangereux mais il est près du centre-ville. Das Hotel liegt im Künstlerviertel. Die Gegend ist mittlerweile auch abends als sicher zu bezeichnen und war günstig für unsere Unternehmungen in Rio gelegen. Das Frühstück war nicht ganz so abwechslungsreich, aber dennoch OK.
Das bei unserer Ankunft zugewiesene Zimmer fand nicht unsere Zustimmung, insbesondere wegen einer undichten Zuleitung zum Toilettenbecken, so dass Wasser ungehinder auf den Boden des Bades tropfte. Auf unsere Beschwerde hin erhielzen wir ein neues Zimmer (sogar mit besserer Lage), allerdings war die Reinigung der Zimmer offenbar ein Problem für das Personal.Andererseits war das Frühstücksbufet gut bis sehr gut in dieser Preislage. Somit waren wir nur eingeschränkt zufrieden mit dem Hotel. Zimmer mit Klima, Kühlschrank und TV, alles eher etwas alt und verbraucht aber funktoniert. Spartanisch eingerichtet, es fehlen Ablagemöglichkeiten, Kleiderbügel oder Hacken um etwas aufzuhängen, wie auch z.B. im Bad unseres Zimmers. Es sah nicht gerade einladend aus aber erfüllte seinen Zweck. Wifi kostet pro Minute oder Real 10.-/Tag, was eher empfehlenswert ist, bei der langsamen Verbindung. Das Preis-Leistungs-Verhältnis für dieses Hotel ist ok, was will man schon bei für das DZ erwarten? Die Lage ist nahe des Zentrums, und es befinden sich Supermärkte und kleine lokale Bars in der Nähe. Das Zimmer war sauber und recht groß, aber sehr basic und ohne CHarme. Die Fenster waren leider sehr undicht, somit war der STraßenlätm sehr laut. Das Personal war freundlich.